How can we begin to understand the unfathomable? If you are like me, you need to experience the very thing you can’t even come close to comprehending. For example, if you cut your finger on a piece of paper, you most likely feel pain, but eventually the paper cut heals. And even though there is no scar, we usually don’t forget the pain of a paper cut. This pain we can understand even if someone else says it happened to them. You might even feel sympathy for them. Most importantly, you can actually empathize with them. You get it because it happened to you. You are about to embark on a reading journey that may be painful and similar to a paper cut, but you are not holding onto a piece of paper. Instead, you are holding yet another tangible item…my words by way of your phone or computer. My purpose is to prevent suicide. If I can prevent even one family from going though what I have, I’ve fulfilled my purpose. Please keep reading. Imagine you are running down two flights of stairs…you are headed towards your loved one…you are on an innocent mission to wake her up and tell her that she accidentally overslept and missed an appointment. You don’t realize that you are running though the last corridor of life as you know it…life literally is extinguishing right in front of you as you reach the bottom of the stairs and run towards the basement door. 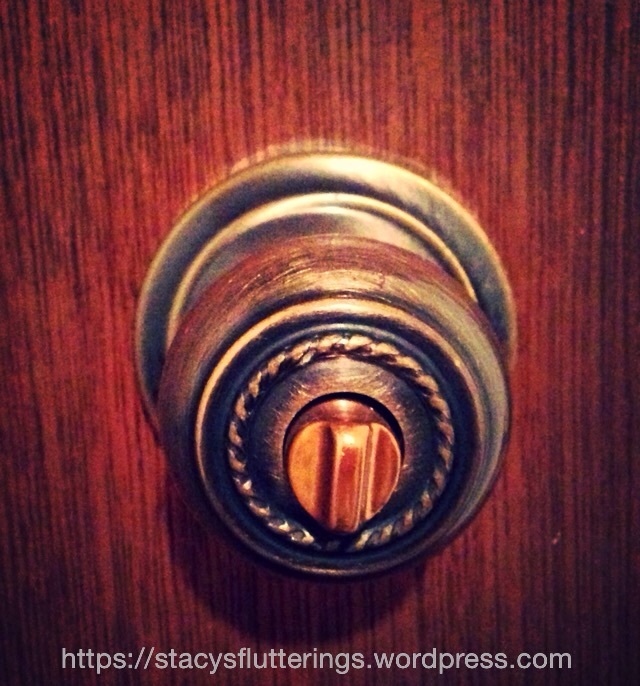 You grasp a cold, shiny, brass doorknob, crank it to the right and push the door open. My friend, the pain of finding a loved one after a suicide attempt is real. I know it all to well because I’ve lived it. It happened to me and my family. The painful memory of this moment and I have intimately danced together ever since. I hope by sharing my experience others can begin to grasp the fact that suicide is real. Of course, I’ve spared you from the details beyond this moment. They are tucked away in a memoir that has become the holder of memories to important to discard. The recorded memories are proof that there is at least something out of our experience that I’ve had control of. What matters now is that I want to share with you that my loved one miraculously lived but not without being on life support first, and the days in the hospital were yet another painful experience, too painful to share now. I tried to share with you through words how devastating and life changing it was to find my loved one in such a state. Mere words can’t even begin to express the harrowing and painful experience. We consider ourselves lucky and blessed. Countless other families don’t have such a positive outcome as we’ve had. In fact, the Centers for Disease Control and Prevention (CDC) reports 41,149 persons died by suicide in 2013. This figure to me is staggering especially since it’s preventable. If only I would have known the signs and risk factors. I may have been able to save my loved one and husband and my other dear children from the dreadfully painful experience. Please take the time to learn how to prevent suicide. The American Foundation for Suicide Prevention provides helpful resources that will help you gain an understanding about suicide warning signs. I encourage you to check their website out. Also, if you know someone who is in crisis or you need help, you can call the National Suicide Prevention Lifeline at 1-800-273-8255. If you prefer to text, you can text the Crisis Text Line by texting the word “start” to 741 – 741. Please share this blog as you see fit in an effort to prevent suicide. Let’s change the ending to other families stories by putting an end to suicide.